As a company transforms through the implementation of Scrum, it will eventually arrive at the need to scale that framework for broader deployment. There is no “one-size” fits all solution that can deliver results across disciplines or industries. So why do conversations about scaling Scrum focus on finding a proscriptive solution? The answer for large scale scrum implementation is Scrum@Scale. Scrum is fractal in nature and scales to any size which allows for context-driven solutions and for unique, customized Scrum implementations. Scrum@Scale is modular and tailors to the unique needs of your organization without introducing anti-Scrum patterns or unnecessary waste. The training is designed to teach the responsibilities of the leadership, the Product Owner function, and the teams themselves in complex contexts. Let the creators of Scrum@Scale show you how to apply basic Scrum and Lean product development skills to scale Scrum from one to many teams across any size initiative, across the disciplines of software and hardware. Recommended Experience: Scrum Master, implementing scrum or completed a two-day Certified Scrum Master Course. We encourage you to have completed a two-day Certified Scrum Product Owner course as well. The Scrum@Scale course at Scrum Inc. is led by instructors who, when not in the classroom, are actively coaching, training and transforming teams at Fortune 500 companies around the globe. 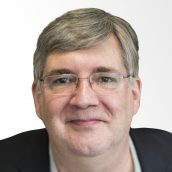 All of our instructors are Scrum@Scale Certified and mentored by Jeff Sutherland, the co-creator of the Scrum framework and the founder and CEO of Scrum Inc. The Scrum Alliance has approved Scrum@Scale as a Continuing Education course. You can get up to 16 Scrum Education Units (SEUs) in addition to 16 Project Management Institute PDUs by participating in our two day course. In addition, ScrumInc. will provide a Certified Scrum@Scale Practitioner certificate signed by the founder of Scrum.